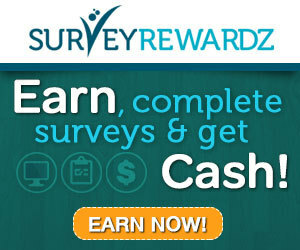 A host of websites pay users cash to complete surveys. But is making money from home as easy as it sounds? Type “make money from surveys” into Google and almost 30 million results are returned. Some paid-for adverts claim you can make £5 to £7 per survey while Top10BestPaidSurveys.co.uk reckons you can net £300 a month completing questionnaires from home. But how easy is it really to make money this way? All those articles in newspapers or online that start with “Eight out of 10 people…” get their statistics from somewhere – and that’s from surveys. Surveys can be used for marketing purposes in various ways. Firstly companies want to find out what makes their customers tick. Which products do they like or need? What annoys them? Most firms outsource their surveys to a professional survey company. These survey companies compile a database of people and then contact suitable respondents for each survey, offering cash as an incentive. Ipsos, which was formed in 1975, is one of the largest market research firms in the world. The company has an offshoot website called Ipsos i-Say which offers users the chance to earn vouchers for filling out surveys on “anything from global brands to entertainment and more”. But Swagbucks isn’t just a survey site. You can also be paid for using it as a search engine instead of Google. Other ways to earn money include shopping via the site, playing online games and watching videos. Points are known as Swagbucks or SB. A typical survey pays about 70 SB. SB can be spent at Swagbuck’s reward store. How much they’re worth varies – 1,689 SB will get you a £10 iTunes gift card while 17,999 SB can buy £100 cash into your PayPal account. Recent survey subjects include “spending and saving patterns in the credit crunch”, “knowledge of cooking”, “things you can’t live without on holiday”, and the “frustrations of online shopping”. Before you sign up to a survey site check how you’ll get paid. Most pay either by PayPal or vouchers, with Amazon vouchers particularly popular. How much points are worth may depend on the reward. For example, you may get a higher value Amazon voucher than you’d get cash. 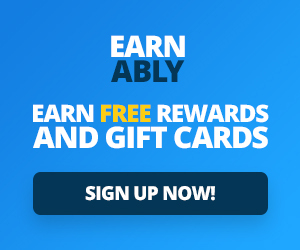 Most sites have a threshold you have to reach before you can redeem your points or cash. Check this before you start – in some cases you’ll be able to claim the money pretty quickly but in others you’ll be slaving away doing surveys for months before you see any cash. Next articleCan you really make money doing surveys online?